What’s the biggest thing you’ve ever lost? Chances are you’ve never lost a car and, if you have, it probably won’t be historically significant. But a very special Mustang has been found this week, after it was thought to have disappeared for over half a century. In 1967, Ford created two Shelby GT500 prototypes – the car made famous by its appearance in Gone In 60 Seconds. The prototype cars were called Green Hornet and Little Red, and featured a Paxton supercharger and dual quad carburettors. Up until now, it was presumed the latter had been lost to history. 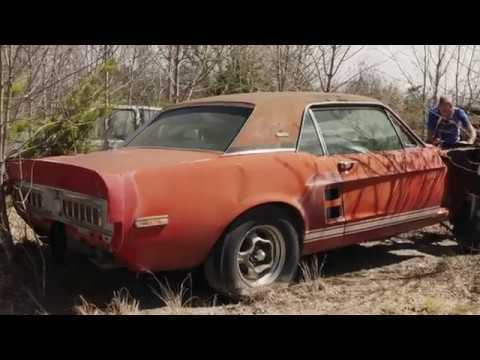 Craig Jackson, the founder of the Barrett-Jackson auction house, found Little Red in rural northern Texas. Jackson and a team of experts managed to track it down using Ford’s original VIN number, whereas previous search efforts concentrated on the Shelby VIN number. Finding the original number took considerable resilience and digging, and eventually the car’s owner was found. Reportedly, the owner had no idea of the car’s historical significance. “Finding Little Red is the discovery of a lifetime,” Jackson says. “This Shelby prototype has been one of the most sought-after and elusive vehicles in post-war history. The Mustang will be treated a full restoration to bring it back to its former glory. Every part of the restoration will be documented and, when it happens, you’ll be able to experience it all online.